Partnering with a locally owned telemarketing firm. 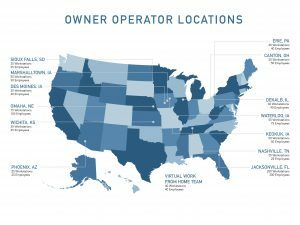 With an outstanding list of clients, we’ve been fortunate to attract and work with the best owner-operators in the call center industry. One of our favorite owner-operators is a telemarketing firm in Nebraska. Worldwide Access Solutions, Inc. (WASI). WASI was founded in 1998 in Omaha, Nebraska as an advertising and marketing service firm. The company grew steadily over the years adding more services to its portfolio. In 2007, current owner-operator Hank Schilling, took over. At that time, WASI shifted its main focus to innovative call center service solutions. Hank, Tom Behm and the core on-site management team helps ensure each client program is staffed with quality frontline agents, detail-oriented quality assurance and energetic supervisors. Turnover is very low because the QCS programs are fun to work on and training is first class. Each team member knows that their success is supported by QCS and the clients on whose behalf the calls are being made. The Omaha, Nebraska team currently conducts radio marketing, utilities customer service and sales, association membership renewals, B2B lead generation and B2B appointment setting programs. As a telemarketing firm in Nebraska, their location is really ideal for bringing potential clients in as well as follow up meetings once a program is running. With ease of access to Omaha with Eppley Airfield, Omaha is an ideal location for new client programs. In addition, the Omaha location provides access to an excellent labor pool with an above-average educational background. The team in our Omaha, Nebraska call center is experienced, knowledgeable and they consistently achieve their goals. They are quick to respond, as well as being flexible and nimble. This owner-operator management team has a proven track record for success.